I love it. It sounds like you had a great vacation - good. Funny how ideas seem to just appear out of nowhere. I look forward to reading the book. Hope you had a great summer. What a wonderful place to spend your vacation. That sign is a killer! Pardon the pun! LOL It's always fun to read how writers get their inspiration. Now I need to read the story and see how this fits in! Sherry and Laura, always good to hear from both of you. I hope your summer vacation has been as enjoyable as my summer has been. 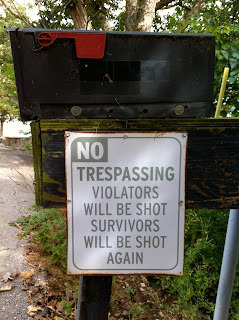 Just keep an eye out for those killer signs!